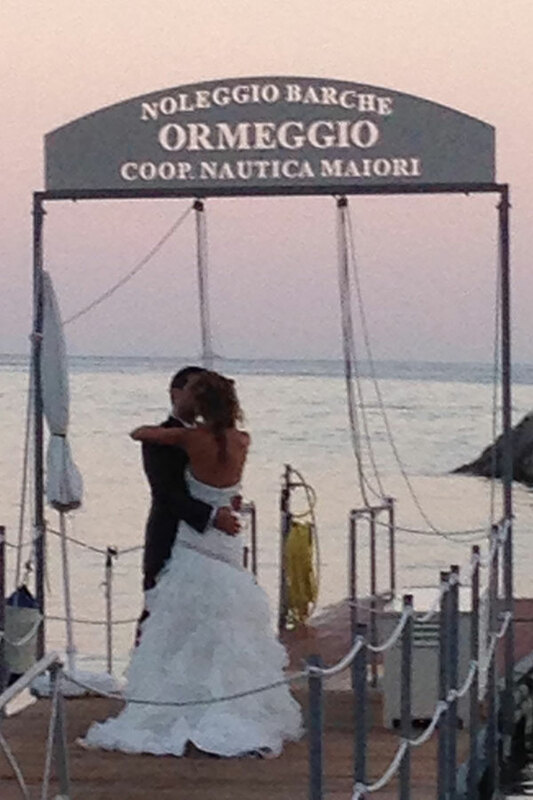 Weddings and Honeymoon on Boat - Yacht Charter Maiori. Maritime Shipping to the Amalfi Coast and Capri. 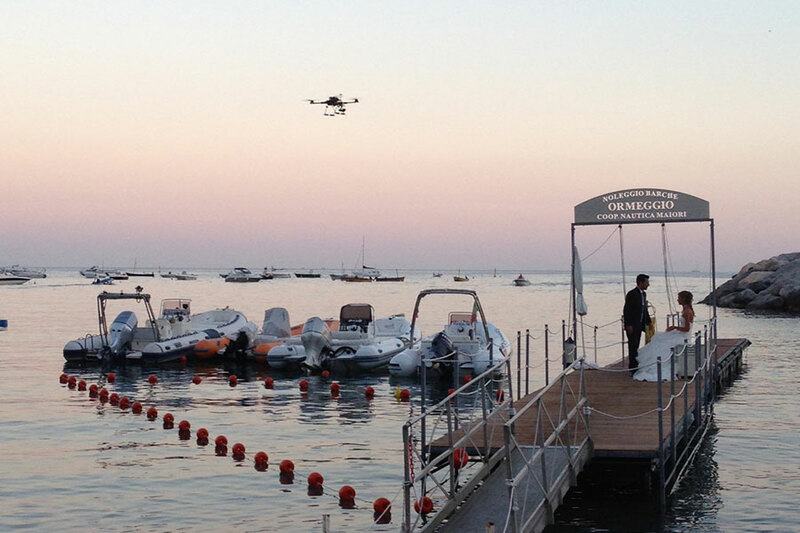 Your Wedding on Amalfi Coast. 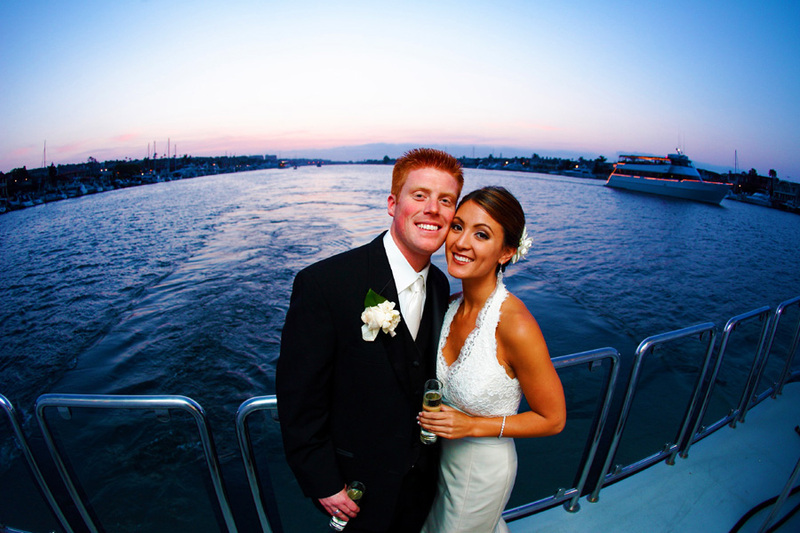 Boat rental for wedding receptions. If the sea is your passion, if you want to get married on the Amalfi Coast and let your guests amazing with an original choice, our staff is at your disposal with innovative proposals. With us, you will be able to reach the location of your wedding accompanied by our beautiful boats, elegantly arranged for the occasion. For your wedding you can chose from yachts, to the most traditional Sorrentine Lance that blend perfectly with the natural feel of coastal villages. Your docking at the port will be particularly unique and, along the way, the soft features of the coastal landscape will be the photo set natural for your memories. If you’ll decide to celebrate your wedding in a restaurant, or in one of the hotels of Maiori, Positano, Amalfi or Praiano facing on the sea, we'll provide also a transfer service for all your guests. A romantic weekend on boat. 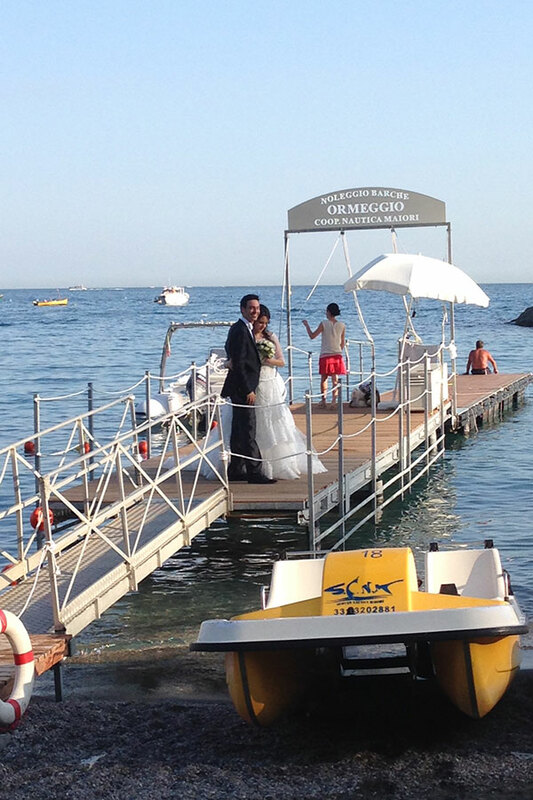 The Amalfi Coast becomes the perfect love nest of many wedding of Italian and foreign couples. For a weekend, for a long holiday, or for their unforgettable honeymoon. We are at your disposal If you decide to celebrate your honeymoon combining passion and relax. You’ll just need to sail on our boat for a cruise, with lots of nice excursions to different places, as the famous island of Capri. There is nothing more special than a short stop in the spectacular Faraglioni Rocks to renew the promise of a new life together.